A speaker at a Road Safety Authority conference on child safety, which opens today, says that Ireland should adopt 30km/h as the national default speed limit for urban areas and villages. Rod King, the head of the UK 20’s Plenty For Us campaign, is has been closely linked with many councils in the UK switching to 20mph (30km/h) as their main speed limit. 20’s Plenty For Us campaigns for a 20mph default speed limit in built up areas without physical calming. The “fig-leaf of localism” could be used as an excuse for national politicians not to act but King thinks there is hope. 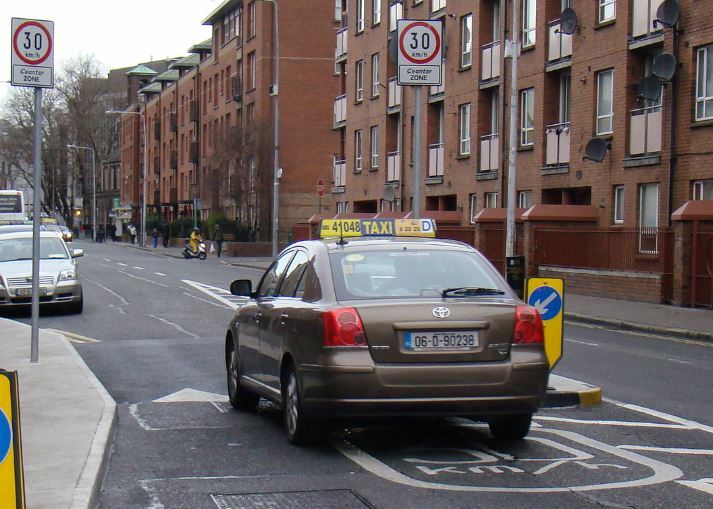 To-date the Department for Transport and the Road Safety Authority have claimed setting a lower default limit is unworkable. “It is not my place to tell anyone in Ireland or any other community what their speed limit should be. But the movement for lower speed limits where people live, work, shop and learn is gaining momentum across the whole world. Is it a return swing of a pendulum that has been so long been saying “more cars, faster cars”? Is it a growing awareness that our urban realm –those “places between houses that we call streets” — is a vital component of our communities and their cohesion? Or maybe the economic reality that we have to find more cost effective ways of moving people around than by sitting behind a steering wheel? After all walking and cycling hardly costs a bean in terms of balance of payments, and the future cost of inactive travel in obesity and health costs is a looming national problem for future generations. And the more we look at the attractiveness of lower vehicle speeds in our towns, cities and villages, the more we realize that lower limits are more about social consensus change than traffic management. Not so much controlling behaviour through ‘signs on sticks’ but people making ‘lifestyle’ decisions about how they are going to still use their cars, but share them in an equitable way with those in the community that may not be using, or even have, a car at the time. The signs then become the reminder that this has been endorsed by society into a mandatory requirement. And certainly it is the financial number crunching that shows that an intervention such as 30km/h limits ticks so many of the boxes that society sees as fundamental to its future. Child independent mobility, elderly mobility, healthier travel, active travel, social inclusion, lower emissions, sustainability all get that tick as well as road safety. We can look at the way the 20’s Plenty for Us campaign has grown in the UK; from being formed in 2007 and now having 250+ local campaigns; from now having 20 of the largest 40 urban authorities implementing 20mph limits (and rejecting the national 30mph limit) for most roads; from the wide support from Public Health, active travel organizations, disability and children’s organization and central government; and with recent British Social Attitudes Surveys reporting 73% of people (including 70% of drivers) in favour of 20mph as the right limit for residential roads, then there is clearly a public appetite in the UK for setting lower speed limits. 20’s Plenty For Us campaigns for a 20mph default speed limit in built up areas without physical calming. And maybe the question is about whether that public appetite exists in Ireland similarly. Well, I would suggest that this conference is certainly an indication that there is a call to make the urban environment a better place for the nation’s children. And the Jake’s Legacy campaign shows the public response to making that change through us all changing the way we behave when driving. But whilst any intervention can be analysed and the pluses and minuses calculated, the question for politicians goes beyond its merits, and how it can be presented and implemented. 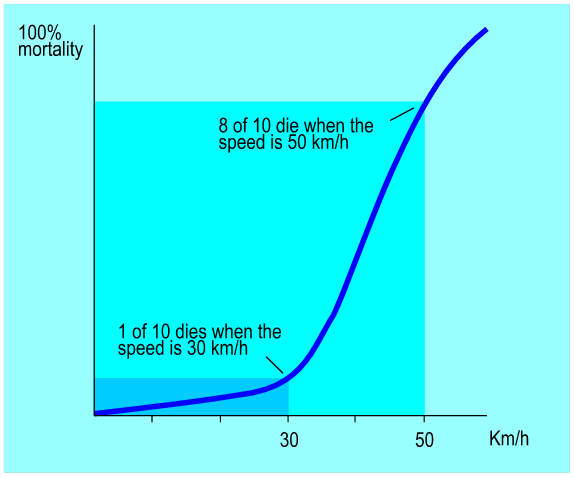 And whilst the model in the UK has been one of local authorities deciding on 20mph for their whole community, experience shows that once a threshold of implementation is reached then lower speed limits become the norm rather than the exception. And when that happens then that developing universal aspiration for lower speed can most quickly and economically be met through setting a national default for cities, towns and villages. Of course this will still require local decisions and action to specify those exceptions where the speed limit for certain roads should be set at 50km/h or even reduced to 20km/h. And those decisions can take into account local knowledge of routes, volumes and types of road users and casualty history. This could also follow the recommendation of the EU Transport and Tourism Committee which recommends:- 30km/h speed limit in all residential roads and on single-lane roads without cycle tracks, to help cut the number of children under 14 years old killed by 60% and those seriously injured by 40%. Ireland is in a position whereby it could progress on an incremental basis and follow the UK by local adoptions of 30km/h limits with all the lack of standardisation and multiple debates which this entails. But equally it could take a lead in recognising the wide benefits from lower speeds and having that national debate and implementation. After all, isn’t this a universal aspiration? Don’t we think that children (and walkers and cyclists and elderly and disabled, and motorists) should benefit from lower speeds wherever they live? Of course, national politicians could hide behind the fig-leaf of localism to attempt to avoid their responsibility for setting standards and playing their role in developing that national consensus on lower speeds for built-up areas. But from my observations there does seem to be a developing belief within the country that it’s time to change. I have always noted that the movement for lower speeds is not about the colour of politics but the quality of democracy. If national politicians across parties can grasp this nettle then they could well find a public that is right behind them not only in setting a national 30km/h built-up limit but also in making those behaviour changes that will deliver so many benefits to Irish communities, and make Ireland an even better place to be.